Is meticulous living right for you? Let our McClean remodeling company take your home design to the highest level. We can completely redesign your interior or exterior so you can enjoy a huge master closet that's completely organized, a grand master bedroom suite, a new outdoor kitchen complete with patio and pool deck, an office or sunroom addition, or anything else you need to live a lifestyle of luxury in your McClean home. One of the most common remodeling projects that homeowners in McClean take on first is kitchen remodeling. But when it comes to your home, an ordinary interior design just won't do. At Berriz Design Build Group, our kitchen remodeling contractors have the skill to infuse gourmet design style that will breathe life and luxury into your cooking space. From high-tech appliances to custom cabinetry and an amazing new design, we know just what your kitchen needs to become the heart and life of your home. Is An Outdoor Kitchen All You Need For Luxury Living? 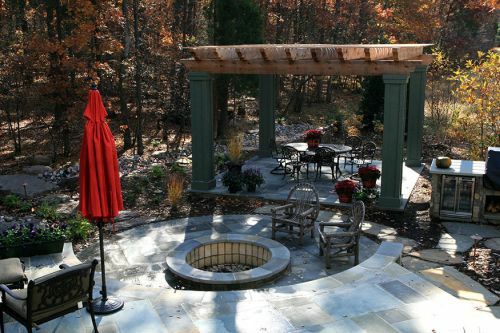 Designing and building an outdoor kitchen for your McLean home is really going to offer your family a luxury lifestyle. No more running back and forth between the grill and the refrigerator. No more lugging kitchenware and food items to and from your outdoor living area. 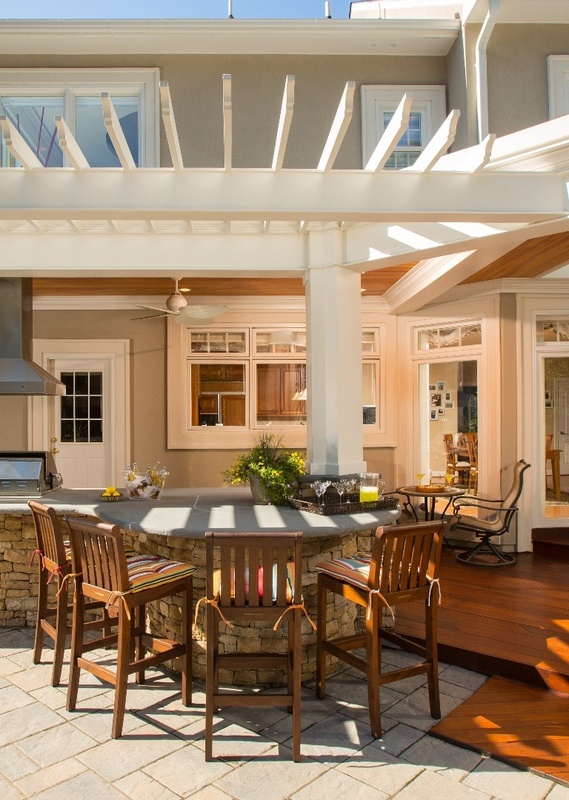 With an outdoor kitchen that is designed and constructed by Berriz Design Build Group, everything you need to cook and enjoy a wonderful meal or entertain guests can be incorporated into an amazing outdoor living space. "We have worked with Bob Berriz of Berriz Design on four different projects over the past 20 years. The projects included remodeling/updating our kitchen, dining room, laundry room and four bathrooms, construction of a new breakfast room, mudroom, screened porch, two Ipe wood decks, a flagstone patio and stoop and flagstone walkways, landscaping, installation of a new double front door, installing hardwood floors, and carpeting. We have worked with Bob because he has extraordinary conceptual and design skills and very high standards, is incredibly responsive, creative and full of ideas and options to meet your needs, stays actively engaged throughout implementation, is exceedingly resourceful in solving problems, uses only the highest quality materials, charges a fair and reasonable price, and is totally committed to your full satisfaction with the results. Bob is also very personable, easy to work with, very accommodating and a real star in his field. 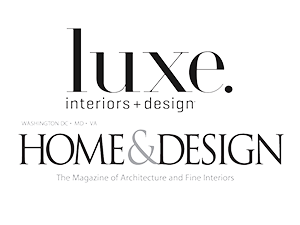 We consider ourselves very fortunate to have found Berriz Design 20 years ago!" If you are looking for a McClean, Virginia landscape design & remodeling company, please call 703-552-7565 or complete our online request form.